It has become more and more common for many woodworking experts and hobbyists to integrate CNC or computer numerically controlled woodworking machines to their fleet. With the shift in the industry, CNC machines enjoy an increased production compared to handheld machines. In fact, there are now plenty of CNC CO2 laser machines that you can find in the market today. It offers an exciting chance for buyers as it means that they can make the most out of these CNC machines with no need for them to drain their shop’s financial resources. One particular CNC machine that you can find in almost all woodworking shops today is none other than the CNC router, a machine most often used in cabinetry. Cancam.ca offers a plethora of CNC routers which can give woodworkers the chance to cut or even hollow out a groove in a wood piece, like the grooves you can find in bookshelves for affixing individual shelves to a bookshelf frame. The CNC router can perfect such cuts automatically through adhering to the measurements that the shop worker inputs. This just means that the use of these CNC machines can get rid of the possibility of human error. 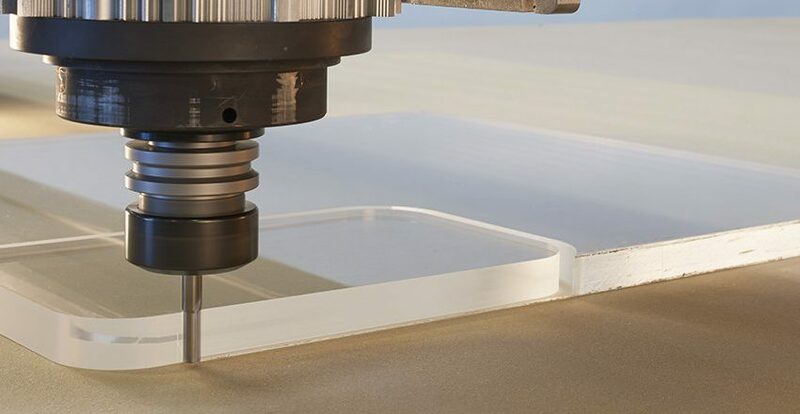 It doesn’t matter if you plan to add a new machine to your existing fleet of CNC machines, or you want to make a switch from the handheld router to a more efficient CNC router. Cancam reiterates that there are several buying considerations that you have to keep in mind. Below are some of the benefits that you have to look for when you shop for your CNC router. Modern woodworking shop should be flexible, which adapts to a broad range of customer needs to fill as many orders if possible. In previous years, it was only possible through keeping a lot of specialized machines on the floor, yet now, it’s more cost-effective to buy machines that can do different jobs. Therefore, buyers value used CNC machines that provide greater flexibility like a single machine that could handle drilling, grooving, and routing. Through getting more flexible CNC routers, buyers can also get rid of some space on shop floors through consolidating specialized and older machines. Woodworking shops don’t have to select between the machines that are easy to use and inexpensive. CNC routers ensure ease of use because this automates much of the process, which leaves the employees to input measurements as well as oversee every machine as it works. Every modern CNC router features user-friendly software so minimal training is required before use. Adopting CNC woodworking sped up the processes of woodworking shops from different parts of the globe, yet it also caused customers to expect short wait times after placing an order. If the used CNC woodworking machines are slowing the shop as well as its employees down, it’ll lose business to some shops. Thus, buyers are searching for machines that depend on the capabilities of CNC to make the production much efficient. For example, several machines use computer control to position the clamps and table automatically so that lesser manual setup is required.